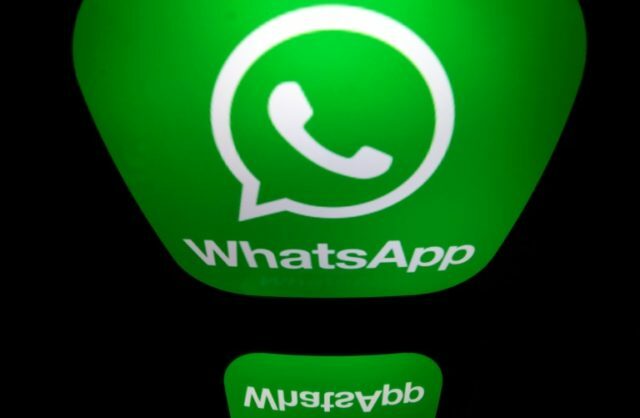 Beijing (AFP) – Chinese authorities appear to have severely disrupted the WhatsApp messaging app in the latest step to tighten censorship as they prepare for a major Communist Party congress next month. Users in China have reported widespread disruptions in recent days to the Facebook-owned service, which previously malfunctioned in the country over the summer. Experts said the problems began on Sunday, but text messaging, voice calls and video calls appeared to be working again on Tuesday, though voice messages and photos were not going through. WhatsApp provides message encryption technology that likely does not please Chinese authorities, which closely monitor and restrict cyberspace through their “Great Firewall”. Websites such as Facebook, Twitter, Pinterest and a slew of foreign media have been blocked for years. The WhatsApp troubles emerged ahead of the Communist Party congress on October 18, when President Xi Jinping is expected to be given a second five-year term as the party’s general secretary. “It smells like Party congress pre-emptive blocking,” said Jason Ng, who researches China’s internet at the Citizen Lab at the University of Toronto. China usually steps up surveillance around major events, Ng said. While the WeChat messaging app owned by China’s Tencent company is more widely used in the country, many WhatsApp users complained about the disruptions. Many Chinese activists prefer to use Whatsapp because of its end-to-end encryption. “As we get closer to the Party congress, I think authorities will use more extreme censorship measures. The public knows that WeChat isn’t safe,” prominent Beijing-based activist Hu Jia told AFP. “Me and other dissidents use WhatsApp to communicate 70 percent of the time. For the few days WhatsApp was completely inaccessible, we didn’t talk at all,” Hu said. Other users in China noted that the disruptions would make it difficult to work with clients abroad. “Facebook, Twitter, Gmail, Viber were blocked before. Now even WhatsApp is blocked? Without good messaging tools, it will reduce the efficiency of the foreign trade industry,” wrote one person on Weibo, China’s Twitter-like social media website. “I can live without the others (applications), but blocking WhatsApp is driving me crazy,” said another. The Open Observatory of Network Interference, a global censorship detection group, said China started blocking WhatsApp on Sunday. To operate in China, some foreign tech companies have complied with local regulations. But others such as Google have chosen to pull out completely from mainland China. In July, Apple removed software allowing internet users to skirt China’s “Great Firewall” from its app store in the country, drawing criticism that it was bowing to Beijing’s ever-growing web censorship. Such software, called virtual private networks (VPN), allow people in China to access any website, even those that are blocked. Beijing mandated in January that all developers must obtain government licences to offer VPNs and there has been concern that it might ban them outright.